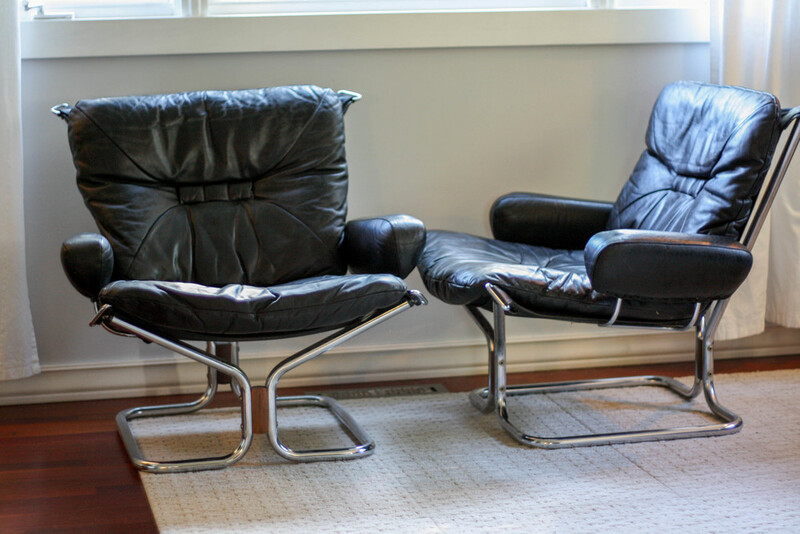 Here we have a pair of Mid-Century Modern lounge chairs designed by lngmar Relling and manufactured by Westnofa of Norway in the 70's. 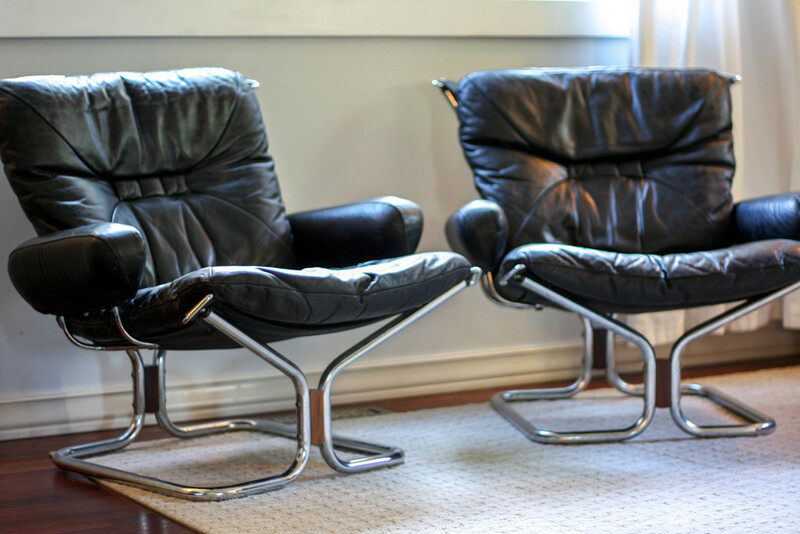 The chairs feature a chromed tubular frame, black matte leather upholstery and a rosewood insert on the chrome base. 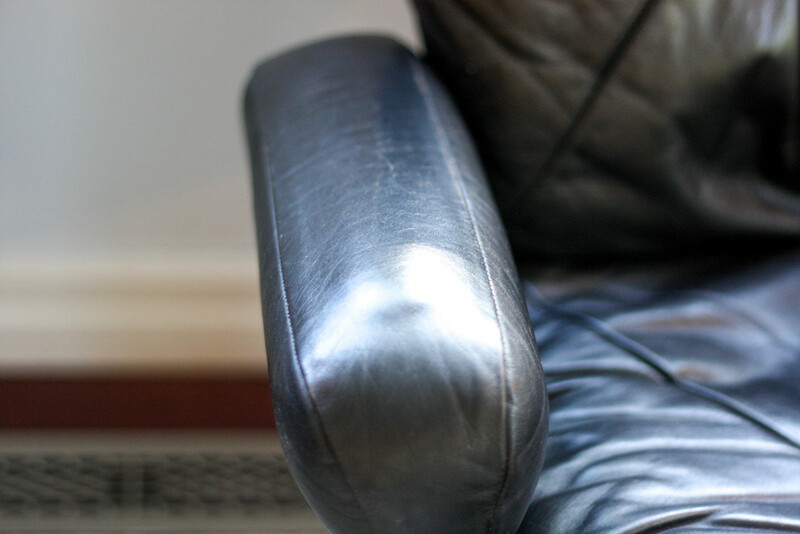 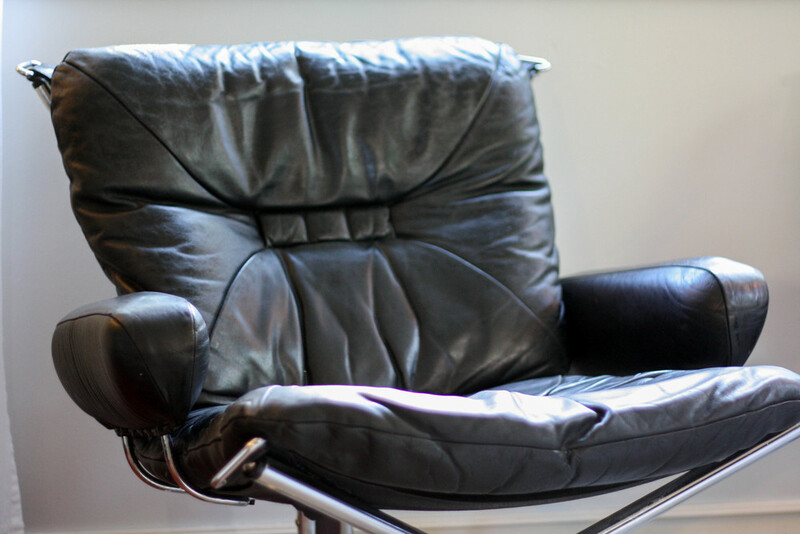 The chairs are In excellent vintage condition with a beautiful patina to the leather.